What are today's consumers really like and what kind of experience do they expect from you? Customers love to research products and services online first before picking up the phone or sending an enquiry. Online sales and new digital channels provide virtually unlimited choice, price transparency and visibility on the options and experiences of millions of shoppers worldwide. With all this information to hand, shoppers' expectations are pretty high. They expect a certain level of consistency dealing with your company and your brand, no matter how they get in touch. But this is where so many businesses fall short in meeting these expectations and this is largely due to the dis-connect in having older more traditional systems that were really designed to be "back office" systems used to manage internal finance and operations. The modern system places the customer at the very heart of a very open and transparent system, opening up doors into customer portals, e-commerce, CRM, and offering 24/7 access to do business with your company. Traditional systems were designed to automate processes and reduce paperwork, but they were largely about solving internal administrative problems. They were not designed to support the needs of customers directly, but this was just the way things were done. Companies did their business between 9 and 5, the level of service you got depended on who you spoke to, exchanging information was extremely difficult. The limitations of traditional systems became magnified with the digital revolution. Because data is typically scattered across multiple systems including e-commerce, CRM, Finance, it became almost unthinkable for companies to be able to reward their most profitable customers, predict demand or ensure repeat business. The future belongs to companies that can capitalize on the potential of technology to serve their customers better and orient around them. 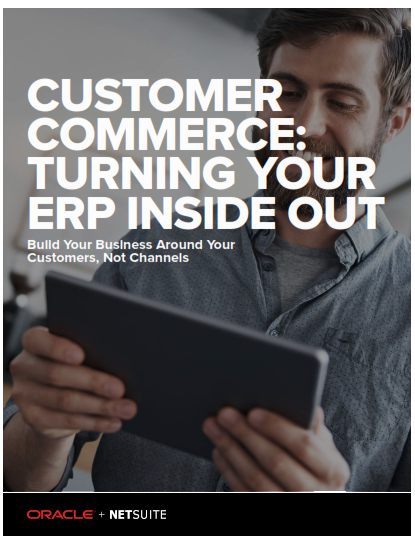 This white paper takes a deeper look into the Customer Driven Revolution, the importance of efficient supply chains, the Amazon effect, the convergence of B2B and B2C and the "Curse of the hairball". "The shift to digital at organizations is not happening - it cannot happen at an incremental pace. Too much is riding on it. This is a transformative change and to date, too many organisations that have paid only lip service to supporting the customer across all digital channels have felt the sting of competition beating them to the punch".